In accordance to LTFRB regulations, we have rolled out Special Discounts for Senior Citizens, Students and PWDs! Qualified Grabbers will be able to apply for the discounts online and once verified, get 20% off on their GrabCar and GrabShare fares. Apply now and experience even more convenience with GrabCar and GrabShare. 1. What are Special Discounts? 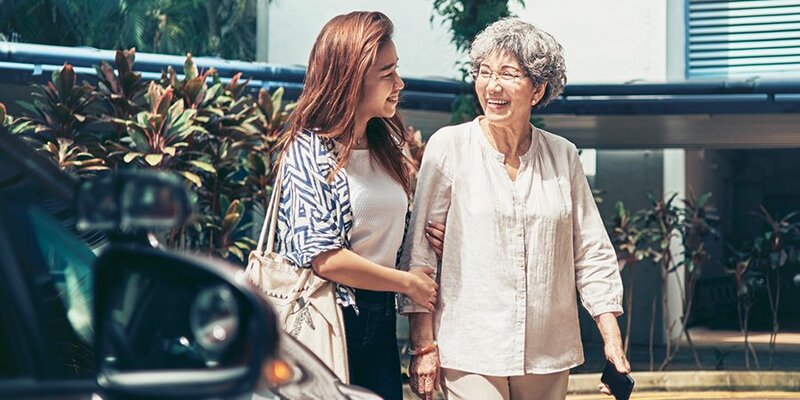 Senior Citizens (Grabbers who are 60 years old and above), with valid Senior Citizen IDs may apply for the special Senior Citizen discount to get 20% off their GrabCar and GrabShare rides. Individuals with valid PWD IDs may apply for the PWD discount to get 20% off their GrabCar and GrabShare rides. Students from pre-collegiate to collegiate levels (excluding Masters and PHDs) with valid Student IDs and current school Registration Forms may apply for the Student Discount to get 20% off their GrabCar and GrabShare rides. 2. How do I apply for special discounts? Click the link below to apply for your Special Discount. Make sure all requirements are submitted. Once your application has been verified, simply input the promo code that will be given to you via SMS. Make sure that you present your valid ID (Senior/PWD/Student) to your Grab driver. 3. Are the promo codes valid for all of Grab’s services? Your Special Discount promo code is valid for GrabCar (Sedan, 6-Seater and Premium) and GrabShare rides. 4. Are the Special Discount promo codes valid for all cities? Yes, the the exclusive promo codes are valid for all cities with GrabCar and GrabShare — Manila, Cebu, Bacolod, and Pampanga. 5. Does my Special Discount promo code expire? 6. Is my exclusive Special Discount promo code transferable? Can I use the promo code even if I’m not the one taking the trip? No, the promo code will only be valid if the owner of the Special Discount promo code is one of the passengers. You may bring other passengers along for the ride but you have to be present. 7. What happens if I use my exclusive Special Discount promo code but I do not have my valid ID?